Come and see one man's life dream and accomplishment. 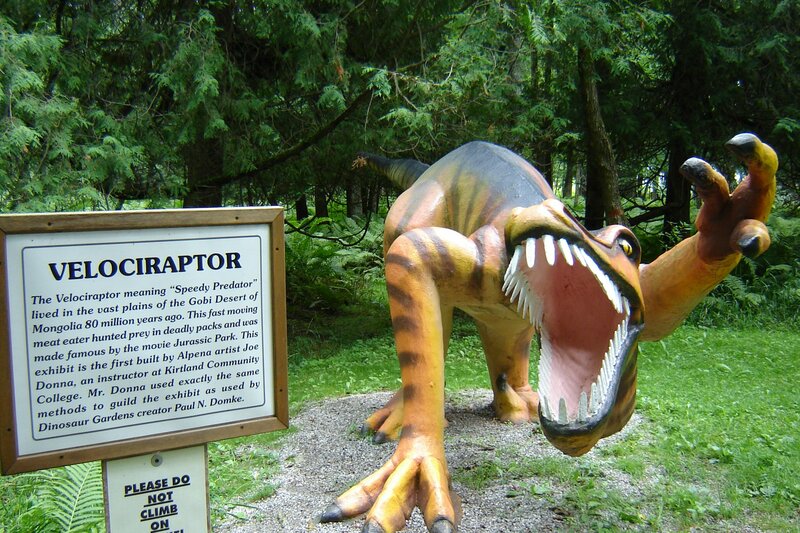 This dinosaur park was built from 1935 to 1970 by a man called Paul Domke. The park itself is situated on 20 acres of mature forest, with a most unique trail leading you back in time...Time when the earth was ruled by dinosaurs. Stroll next to life size replicas of a number of dinosaurs as well as cave men and Ice Age animals. Some exhibits even provide a birds eye view with steps and entrance right into the replicas. Over 26 exhibits along the trail! Dinosaur gardens also features a self serve frozen yogurt bar, a mini golf course, snack bar and souvenir shop. This is a property that has been featured in Life Magazine, multiple newspapers, on television, and in Hollywood travelogues. You will thoroughly enjoy a stroll with the life size dinosaurs.